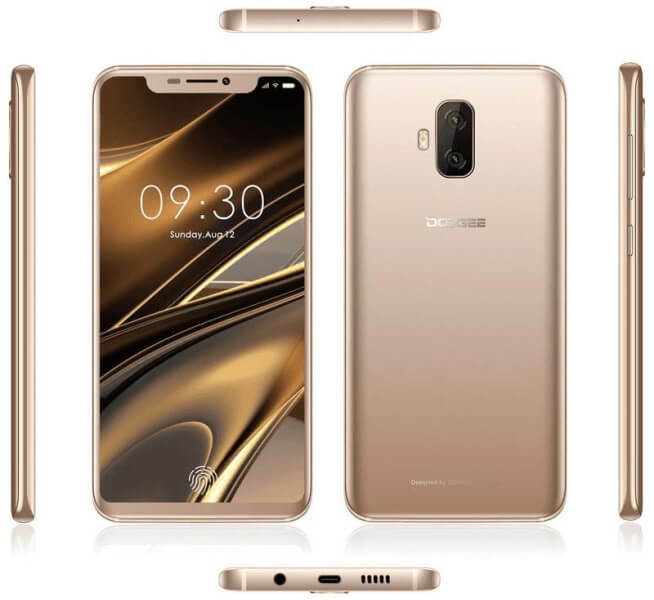 Doogee will launch a new smartphone that will feature an iPhone X-like notch and in-display fingerprint scanner – the Doogee V.
It seems like Doogee took numbers of inspirations in creating its V device. According to the leaked image render, the phone will feature a 6.2-inch full screen display. Aiming to have a seamless display, the Doogee V will feature an in-display fingerprint scanner –which is similar to Vivo – enabling users to unlock the device by simply touching the screen. On top of its display, it will flaunt an iPhone X-like notch that will accommodate some sensors, earpiece, and front shooter. Meanwhile, its back boasts a Galaxy S8-like design. It is geared with dual rear camera, as well. The Doogee V is expected to pack Helio P40 processor, 6GB of RAM, and 128GB of internal storage, too.